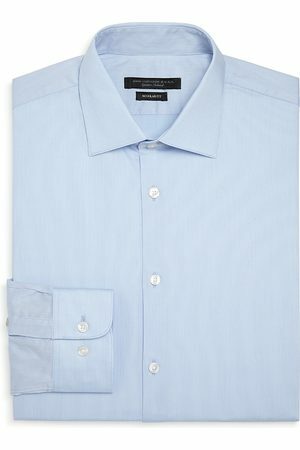 A touch of stretch enhances the all-day comfort of a modern-classic stripe dress shirt with a clean and presentable finish topped off by a spread collar. Style Name: John Varvatos Star Usa Extra Slim Fit Vertical Stripe Dress Shirt. Style Number: 5804266. Available in stores.